Latest Ibiza flavoured tunes by DJane Miss Luna. The 3rd extract from her album “Rise & Shine“. Summer has arrived in Ibiza and so has the new tune of the White Island Resident Miss Luna. Happiness is True, already the third release from her successful album Rise & Shine, is not less than an anthem, with Q DeRHINO singing about – what else – the love and the life. Like in other tracks of the creative duo, the New Yorker singer and artist casts a spell again on the audience with his unparalleled voice. This is why the original version of the song, born in the beginning of the millenium, already became a classic for insiders who like the real Ibiza sound. In order to give the song a serious update, Miss Luna – now one of the top Balearic producers of electronic music – presents a high class selection of international remixers. The Greek top DJ Christos Fourkis, Tropical Highlight from Brazil and Micha Mischer added perfectly floating Beach and Dancefloor grooves, beats and sounds to the song. The Deep House Duo Bés & Meret contributed an elegant interpretation with this special lifestyle feeling inside and, last but not least, Austria based Techhouse master Stereo Sushi himself completes the package with a dancefloor version that nobody can resist to move to! 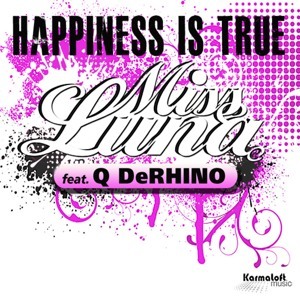 With this release, the project Miss Luna & Q DeRHINO takes definitely a big step forward on the way to the top.